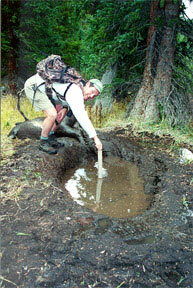 The Wallow of Death has been our most visited web page here at WesternHunter.com. 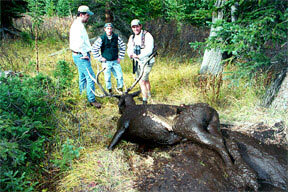 The pictures below of this elk were sent to us but without the story behind them. Recently, one of our readers forwarded us an email he received from someone who actually knew all about the pictures. Here is that email. 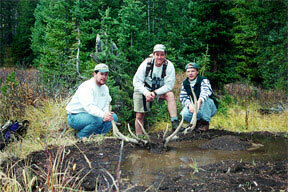 It is me, my brother and a friend pictured in the "Wallow of Death" pictures featured on the website. 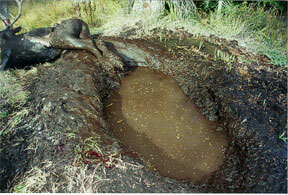 I heard about this bull stuck in a wallow off www.Bowsite.com back in September of 2000. The guy who first found him emailed me directions from New York state. 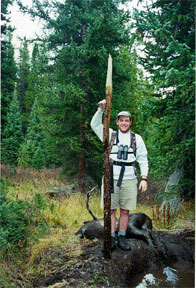 The bull was on national forest land outside Fraser, Colorado. I sent my brother who lives in Winter Park on a search and recover mission and he found the bull on the second trip. 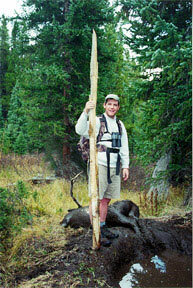 Unfortunately a bear was guarding the carcass and he couldn't pull it out with only two of them. I drove up from Denver with a buddy and four of us pulled the bull out. He was uninjured as far as I could tell. No bullet or arrow holes. I boiled the skull and found a six inch pine stick shoved way up in his sinus cavity. Other than that it's a mystery on how or why he died. My guess is he got exhausted and drown  that hole was DEEEEEEP. Right now the skull is hanging on the front of my house. This is the orignal text that ran with this web page. The following series of pictures was sent to us by Frank Springer of Oregon. 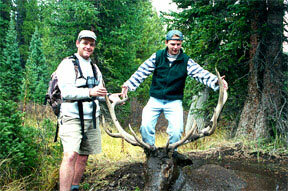 He had no information on the location, the individuals pictured, or any of the circumstances surrounding this finding. 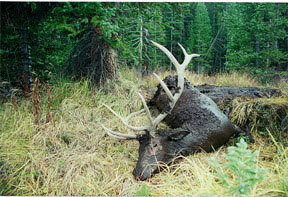 If you are an elk hunter, you know how much bull elk like to wallow  for the bull pictured below, it was a wallow of death. 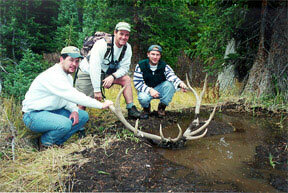 Copyright © 2000 & 2004 J & D Outdoor Communications.